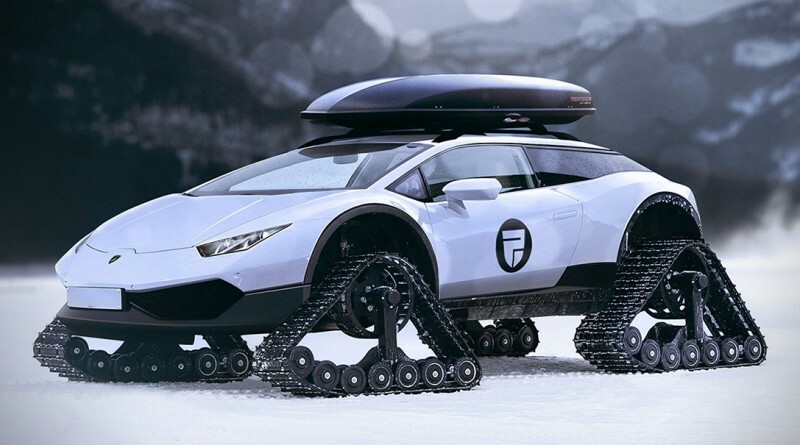 This Lamborghini Huracan Snowmobile Concept is designed by Rain Prisk, an artist from Estonia who has previously transformed anything from an American classic car to an English supercar, offering an extremely unique alternative on the snow and ice. The wheels and tires have been swapped out for a tread package that compliments the wagon style cabin and roof rack, this is not your typical Lamborghini or snowmobile but a wicked combination of both. Currently this is just a concept idea, hopefully some of these awesome snowmobiles make their way around the globe at some point.